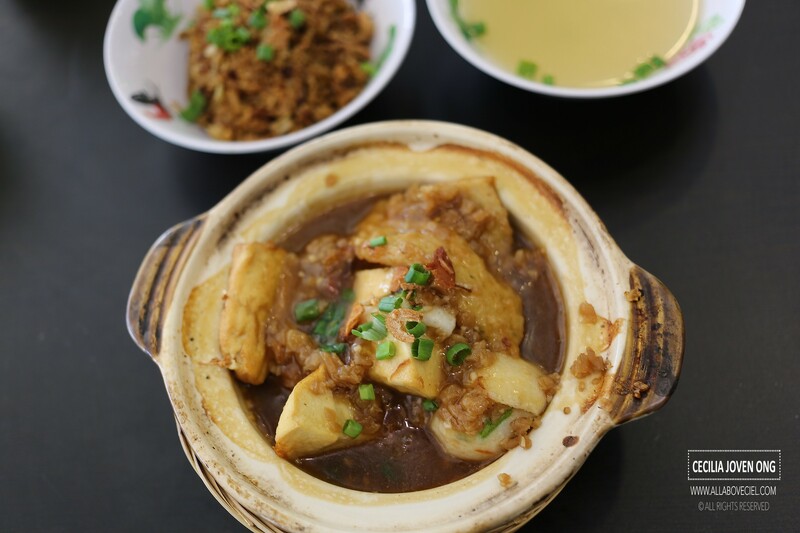 ALL ABOUT CEIL: Jason Niang Dou Fu : Chye Poh Sauce and Yam Rice are must-try! Jason Niang Dou Fu : Chye Poh Sauce and Yam Rice are must-try! I have heard of this particular shop selling Yong Tau Foo along Beach Road, just a few shops away from Prince Coffee House. The boss, Jason Ng, decided to follow the steps of his parents, his parents have been in street food business for a while. 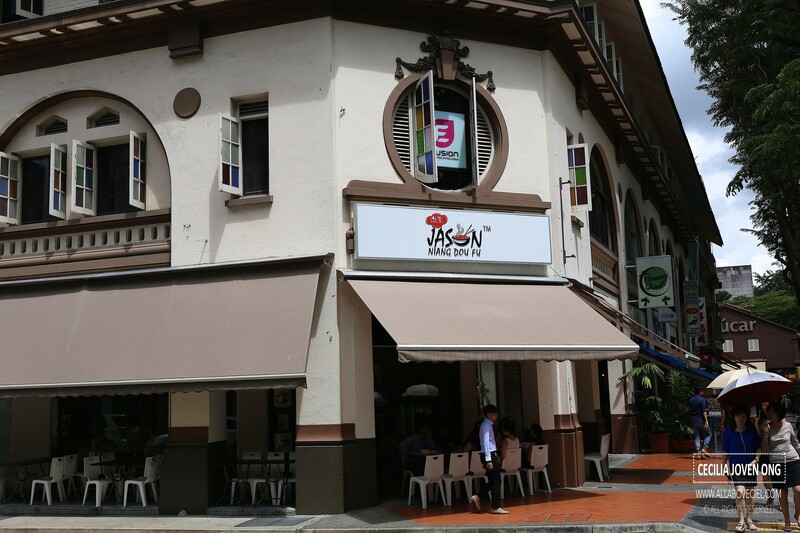 Jason ventured into opening 5 Yong Tau Foo outlets at different food courts before set up this cafe to sell Yong Tau Foo. 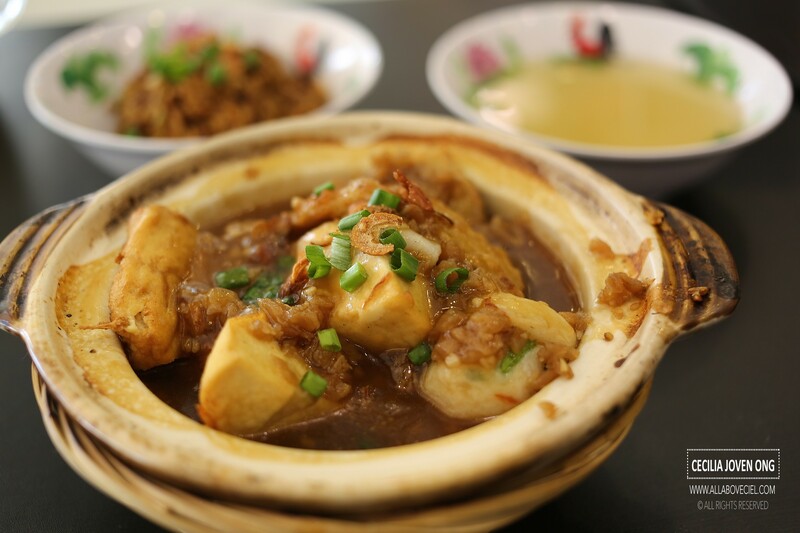 Yong Tau Foo is usually a Hakka dish, consisting primarily tofu with ground meat or fish paste as filling. 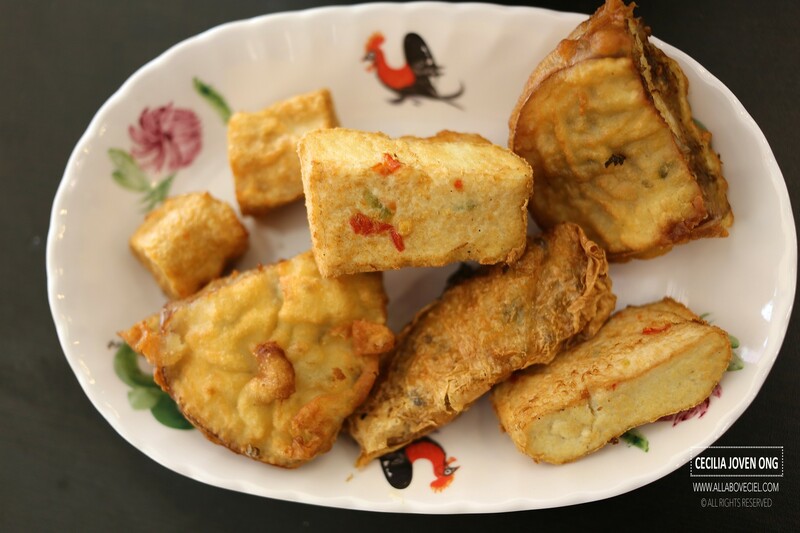 What actually distinguish between his Yong Tau Foo and others is they have about 50 items for selection, ranging from fish balls, cuttlefish, crab sticks, lettuce, ladies fingers as well as cabbage parcel also some tau pok and tau kwa stuffed with fish paste. Most Yong Tau Foo is eaten dry with sweet sauce and chilli or the soup version but not so here. 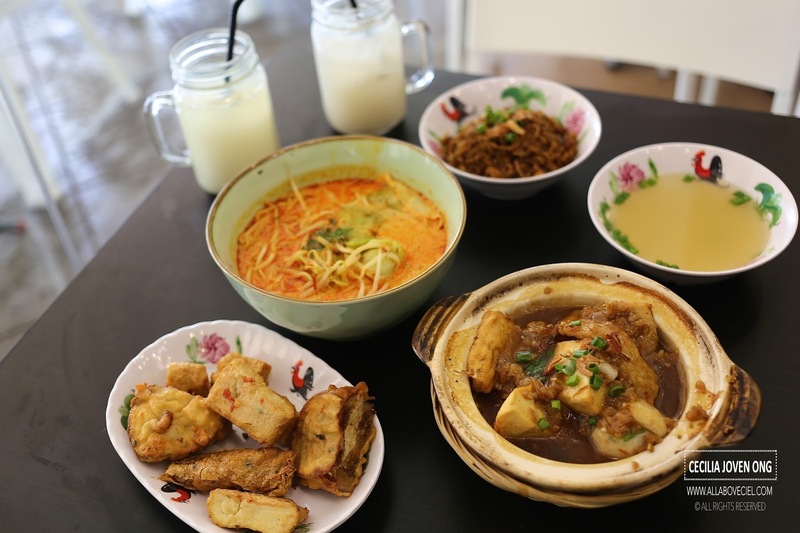 You could choose to have it with their special chye poh (preserved radish) sauce or even the satay sauce, or just the laksa sauce. They do also offer chee cheong fun if you did not want the rice or noodles. You are expected to choose your own items then decide over the counter on the type of noodles and sauce to go with Yong Tua Foo. This was my first time to come across chye poh sauce, since i was sharing it with a friend, we decided to try the chye poh sauce and the laksa version. The total amount for all was $18.80. When taken a closer look, i realised they charged for sauce and the type of noodles or rice selected too. Our first bowl consists of 7 items for $6.40, the chye poh sauce is $1.50 and the yam rice is another $1.50 for a total of $9.40. 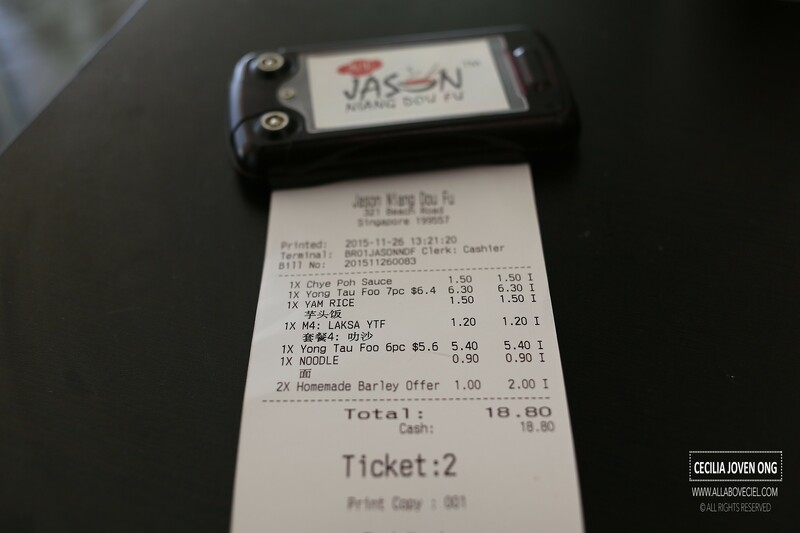 The second bowl has 6 items for $5.40, the laksa is $1.20 and the yellow noodle is $0.90 cents for a total of $7.50. This is not cheap but again, given the rapid raising cost of living including the rental and labor, what is really cheap in Singapore? There is a promotion for their barley at $1 if you order your bowl of Yong Tau Foo. 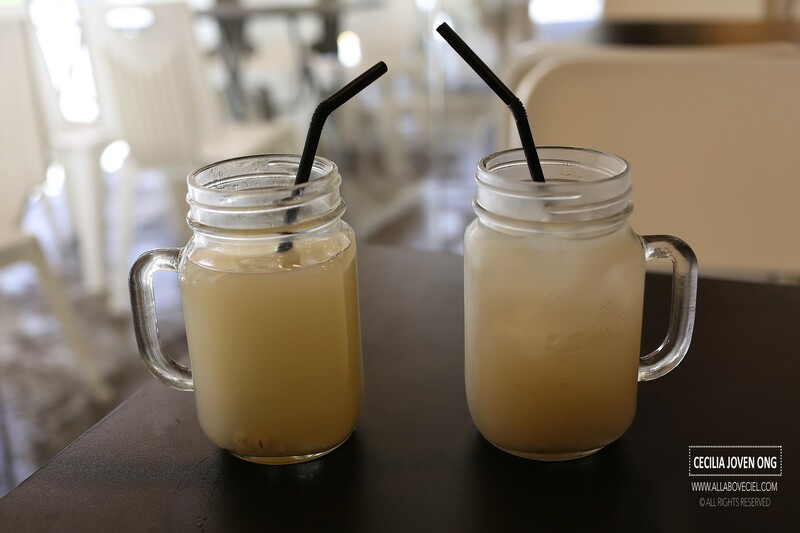 We had the cold and the warm barley, the warm one is a better choice as the cold one was a bit diluted after the ice cubes melted. You were expected to collect your order from the counter when the buzzer buzzed. They will have everything placed on the tray and handed it to you. You were also expected to collect your chopstick and spoon as well as the condiments from the station just in front of the counter. The Claypot Chye Poh Sauce Yong Tau Foo tasted quite unique, it reminded me a bit of the Ampang Yong Tau Foo but taste wise, it is quite different. The Yong Tau Foo items were cooked in the chye poh sauce for a bit and topped with dried shallots and chopped spring onions to serve. It was still really hot even when i done taking the pictures. 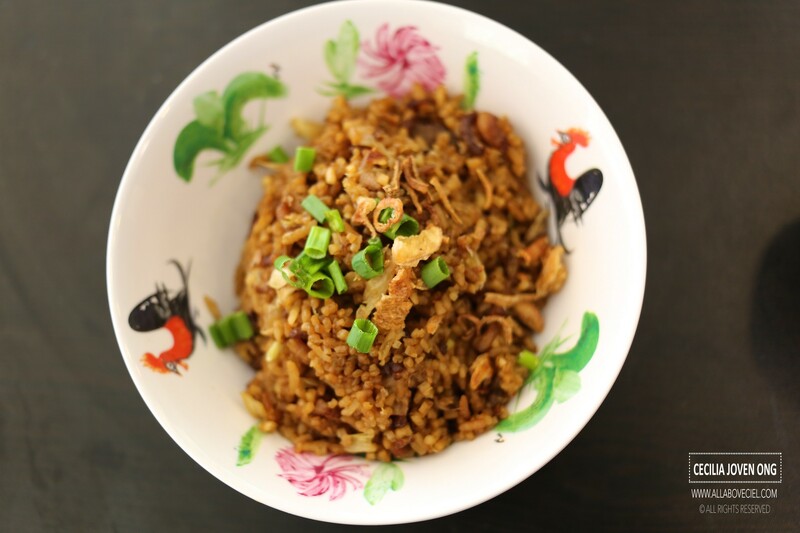 The saltiness of the chye poh did not overwhelm the taste, it has a savory sweetness and went well with the Yam Rice. I read it would be even better to go with white rice to truly enjoy its unique flavor. Though it is quite a small bowl for $1.50 but the tastiness of this bowl of Yam Rice is worth the value. It has got a distinctive taste of dried shrimps and with tons of chunky yam pieces amongst the rice. It was one of the better Yam Rice tasted. The Laksa Yong Tau Foo did not taste too special even though it is one of their popular choices. 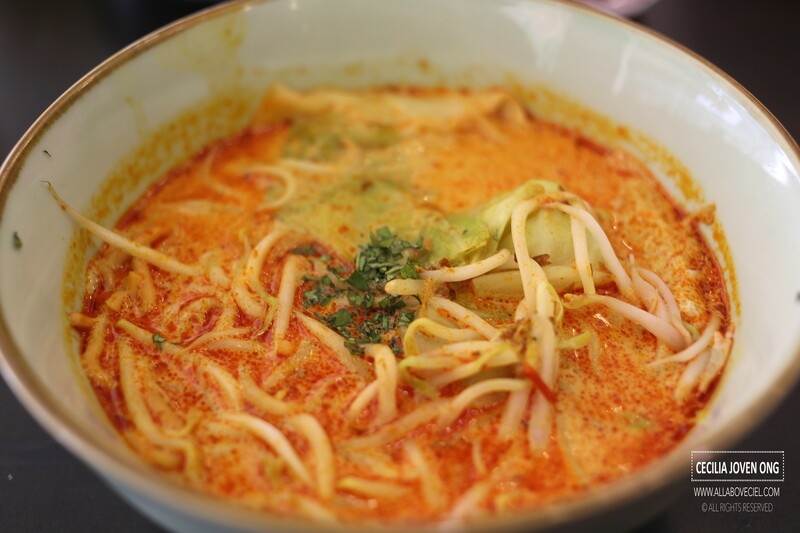 The Laksa sauce did not taste particularly creamy nor too spicy, it just did not quite stand out. 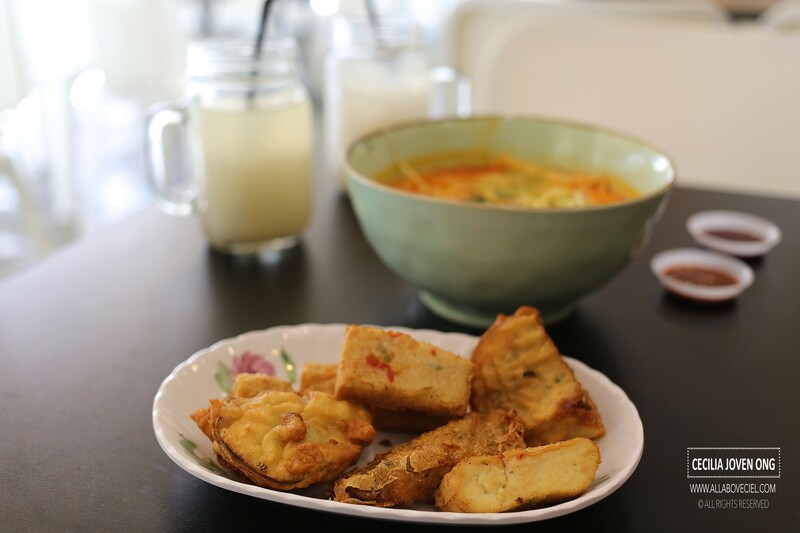 They made an effort to separate the items to be placed in the Laksa sauce and to re-fried it then served it separately on the plate, that is definitely commendable. The Fried Tempura Brinja was quite nice, it is one of the most unique items amongst their 50 choices for selection. The overall experience was not too bad but i am not quite likely to make a special effort to come back again given its prices.